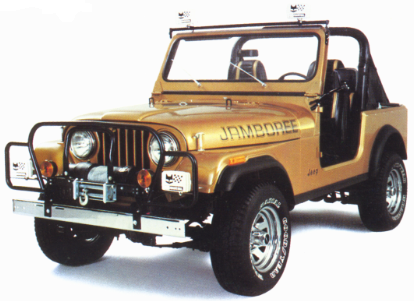 The Jambo included tilt steering, like the Laredo. 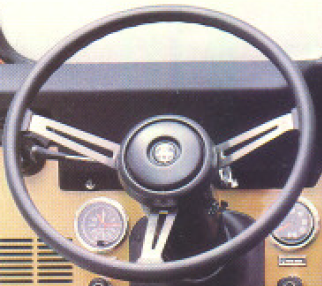 However, instead of the Laredo leather-wrapped steering wheel, the Jambo steering wheel was the Renegade's "soft feel" sport steering wheel. 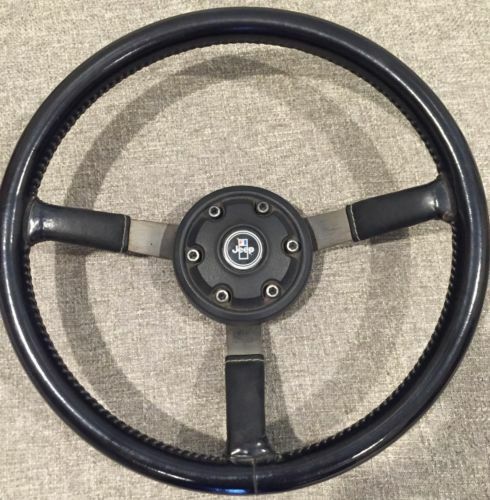 The Jambo steering wheel (1) is the soft feel black (Part # J813-3016). It is not the leather wrapped wheel. The correct botton (3) does not have the Allen bolts (Part # J536-2573) as on the Laredo. Here is the page from the parts catalog. 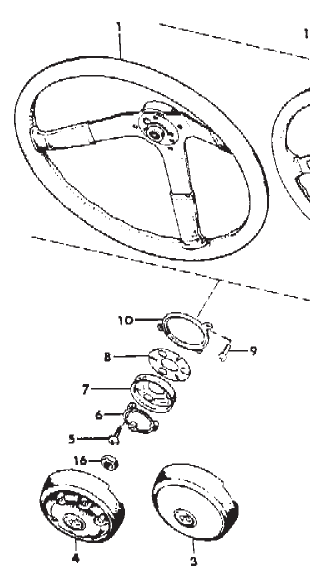 The steering wheel below is from the Laredo and is not correct.